Giuseppe Acconcia is an award-winning journalist and researcher focusing on the Middle East; researcher at the University of Padova, visiting scholar at the University of California (UCLA), teaching assistant at Bocconi, and a lecturer at the Cattolica University in Milan (Aseri). His research interests focus on youth and social movements, Iranian domestic politics, and the state and transformation in the Middle East. He is the author of The Great Iran (Exorma, 2016), Egypt. Military Democracy (Exorma, 2014) and The Egyptian Spring (Infinito, 2012).  He publishes in Il Mulino, The International Spectator, the Carnegie Endowment for International Peace (Sada) and Palgrave. 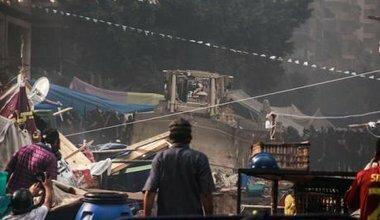 A conversation about journalism and research in times of uprising and repression on the fourth anniversary of Egypt's Rabaa massacre. 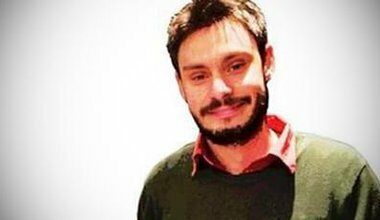 Giulio Regeni was a dedicated and meticulous researcher, an “avant-guarde for Europe”, as the Italian writer Erri De Luca described him. 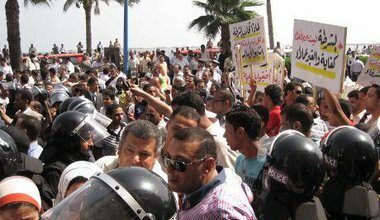 To describe Mahie’s activism over the last three years is to describe how the protests have been going on in Alexandria, throughout, protesting at the antidemocratic methods of the Egyptian army. 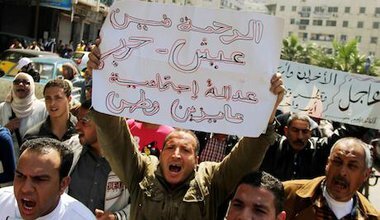 A historian of the Middle East from Stanford University discusses Egypt’s new interim government and the labour movement. Samir Amin, Egyptian philosopher and economist, director of the Third World Forum in Dakar, talks about the last year in Egypt with the Brotherhood in power, interviewed by Giuseppe Acconcia.